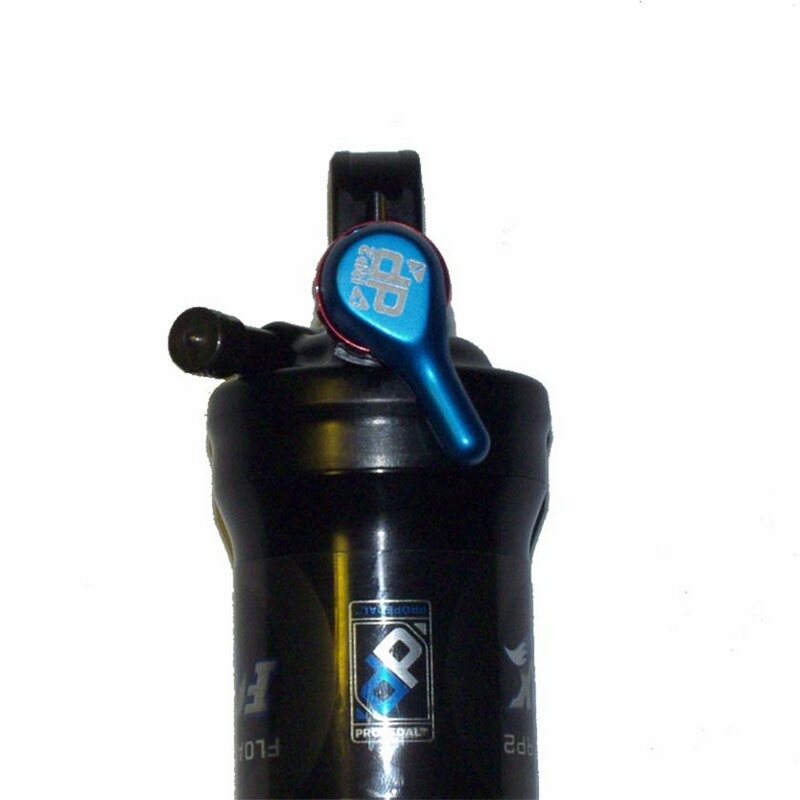 Blue Propedal Lever for the RP2 rear Shock. Please note that this is the lever only and does not include a set screw. It replaces the lever if you lose it, not much more to say. I found it easy to over tighten, be careful on install and use Locktite. Only place I could find the part. Replaced my lost pro pedal lever. You need a micro allen wrench to install it. Awesome to find this here, I was having a hard time finding a replacement lever after mine fell off somewhere on the trail. I'd give it 5 stars but it didn't come with a set screw (you'll need a M3x0.5 set screw, I bought a couple that were 8mm long for reference).